Joe Anglin’s return to Alberta politics, what happens when a white nationalist, anti-immigration group shows up to a United Conservative Party pub night, and what happens now that the New Democratic Party government has implemented its promised $15 per hour minimum wage, are a few of the topic Dave and Ryan discuss this week on the podcast. We discuss the latest candidate nomination news, including questions about if recently-by-elected UCP MLA Laila Goodridge can win her party’s nomination in the new Fort McMurray-Lac La Biche district (the nomination meeting is being held three days before the return of the Legislative Assembly at the end of October) and how Anne McGrath‘s communist history will impact her chances as the NDP candidate in Calgary-Varsity. 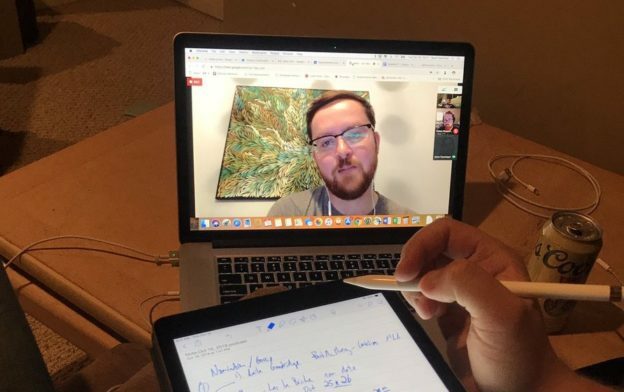 And we dive deep into our mailbag to answer listener questions ranging from the upcoming Alberta Party annual general meeting to the 2018-2022 wild salmon policy. We are also thrilled to announce Daveberta.ca is collaborating with ParityYeg to create and maintain an online dashboard that tracks nominated and nomination candidates ahead of Alberta’s 2019 election. 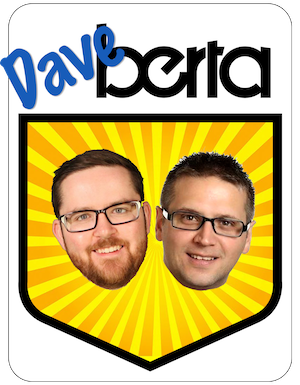 The Daveberta Podcast is a member of the Alberta Podcast Network powered by ATB Financial. The networks includes more than 30 Alberta-made podcasts, including the Otherwise Show. You can listen and subscribe on Apple Podcasts, Google Play, Stitcher, or wherever you find podcasts online. We’d love to hear what you think of this episode, so feel free to leave a review where you download, comment on the blog, Facebook or Twitter or send us an email at podcast@daveberta.ca. And we would really appreciate it if you could leave a review where you download this podcast and share this episode with a friend. And thanks again to our producer, Adam Rozenhart, who keeps us on track and makes each episode of the Daveberta Podcast sound so great. A February 23, 1924 article in the Edmonton Journal describing what happened when Alberta MLAs discovered the red flag of the Soviet Union draped over the Speaker’s chair in the Legislative Assembly Chamber. This entry was posted in Alberta Politics, Daveberta Podcast and tagged $15 per hour minimum wage, 2018-2022 wild salmon policy, Alberta NDP, Alberta Party, Alberta Podcast, Alberta Podcast Network, Alberta Politics Podcast, Anne McGrath, ATB Financial, Calgary-Varsity, Daveberta Podcast, Edmonton-West Henday, Fort McMurray-Lac La Biche, Janice Harrington, Joe Anglin, Laila Goodridge, Lance Coulter, Minimum Wage in Alberta, Otherwise Show, ParityYeg, Rimbey-Rocky Mountain House-Sundre, Soldiers of Odin, United Conservative Party on October 17, 2018 by Dave Cournoyer. Former Wildrose Party MLA Joe Anglin announced plans to seek the Freedom Conservative Party nomination to run in Rimbey-Rocky Mountain House-Sundre in the next provincial election. Anglin represented the district from 2012 to 2015, first as a Wildrose Party MLA and then as an Independent MLA. Known for his taste for a political fight, Anglin is one of the more fascinating and colourful characters to have entered Alberta politics over the past decade. He burst on to the political stage in the mid-2000s by leading a landowners revolt against the construction of giant electrical transmission lines through rural central Alberta and soon after took over the leadership of the Alberta Greens. He earned the best result ever for a provincial Green Party candidate in Alberta in 2008, when he garnered 22 percent of the vote in Lacombe-Ponoka. He left the Greens soon after the election and the party dissolved. He was known to float in numerous political circles over the next few years before joining the Wildrose Party and being elected MLA for Rimbey-Rocky Mountain House-Sundre in 2012. Anglin lost the Wildrose Party nomination in 2014 and left the Wildrose Caucus shortly afterward. He attempted to mount a campaign for the Progressive Conservative Party nomination in Rimbey-Rocky Mountain House-Sundre in early 2015 but was denied entry into the race. He then ran as an Independent and earned 11.3 percent of the vote in the 2015 election. A separate case that Anglin pursued against Elections Alberta over a $250 penalty imposed by the chief electoral officer related to the small font on his campaign signs during the 2015 election was dismissed by the Alberta Court of Appeal in September 2018. When nominated, Anglin will face United Conservative Party MLA Jason Nixon, who defeated Anglin for the Wildrose Party nomination in 2014 and then again in the 2015 general election. Strathmore-Brooks MLA Derek Fildebrandt, who also is a former Wildrose MLA, is expected to be acclaimed as leader of the Freedom Conservative Party at a leadership vote event on October 20, 2018 at the Watchman’s Pub in Calgary. 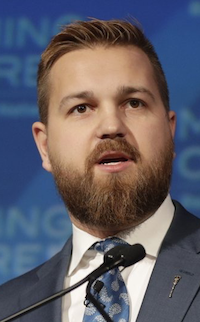 Fildebrandt became the FCP’s first MLA in July 2018 after he was not allowed to rejoin the UCP following a string of embarrassing scandals. Meanwhile, speculation continues about whether Drumheller-Stettler MLA Rick Strankman, who recently lost the UCP nomination to Nate Horner, will also join the Freedom Conservative Party. 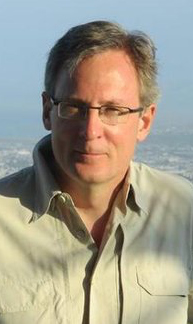 Former City Councillor Brian Pincott announced last week that he is seeking the New Democratic Party nomination in Calgary-Acadia, which overlaps part of the Ward 11 he represented on City Council from 2007 to 2017. Pincott had previously expressed interest in running for the NDP in Calgary-Mountain View, which is now represented by retiring Liberal Party MLA David Swann. but with the retirement of MLA Brandy Payne, Calgary-Acadia opened up. Before entering municipal politics, Pincott ran as the NDP candidate in Calgary-Southeast in the 2004 federal election and the NDP candidate in Calgary-Centre in 2006 federal election. A nomination meeting will be held on October 25, 2018. 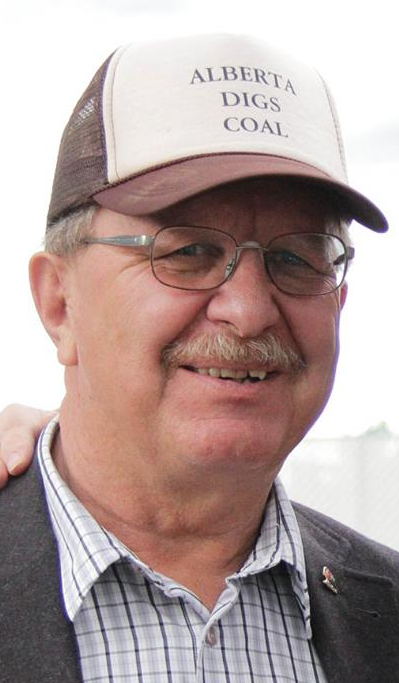 Dach nominated in McClung: NDP MLA Lorne Dach has been nominated as his party’s candidate in the southwest district of Edmonton-McClung. Dach was elected in 2015 in his fourth time as the NDP candidate in this affluent southwest Edmonton district. He will face Alberta Party leader Stephen Mandel and UCP candidate Laurie Mozeson in the next election. Miller goes for re-election in Red Deer: NDP MLA Barb Miller plans to seek her party’s nomination for re-election in Red Deer-South. Miller was elected in 2015 by earning 35.9 percent of the vote in a three-way split with PC Party candidate Darcy Mykytyshyn and Wildrose Party candidate Norman Wiebe. A nomination meeting has been scheduled for November 8, 2018. Calgary-Cross – Jesse Minhas has withdrawn from the UCP contest. Minas ran for the Progressive Conservative nomination in this district ahead of the 2015 election and was the Wildrose Party candidate in Calgary-East in the 2012 election. 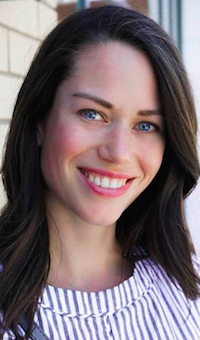 Calgary-Currie – Lindsay Luhnau is seeking the Alberta Party nomination. Luhnau currently work as a business strategist with the City of Calgary and previously worked as a constituent assistant in the office of Ward 9 City Councillor Gian-Carlo Carra. Calgary-North – Melanie Wen has been nominated as the Alberta Party candidate. Wen is a member of the Immigration Consultants of Canada Regulatory Board. Calgary-North West – Andrew Bradley has been nominated as the Alberta Party candidate. Edmonton-City Centre – Lily Le was acclaimed as the UCP candidate in Edmonton-City Centre after three other candidates withdrew from the contest. Le is the Co-Chair of the Vietnam Pavilion for Edmonton Heritage Festival and President of the Edmonton Viets Association. Edmonton-Glenora – Glen Tickner has been selected as the Alberta Party candidate. Edmonton-Riverview – Karamarie Barker is seeking the UCP nomination. Barker is a Crown Prosecutor with the Department of Justice and Solicitor General. Lacombe-Ponoka – Myles Chykerda is seeking the Alberta Party nomination in this central Alberta district. Chykerda is a resident of the City of Lacombe and is completing his the final stages of a PhD in Classical Archaeology from the University of California in Los Angeles. Lac Ste. 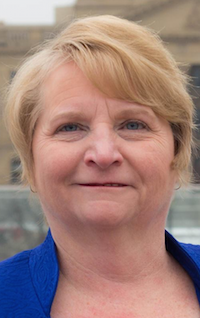 Anne-Parkland – Following Dale Johnson’s removal as a candidate the UCP announced a second nomination vote would be held. Shane Getson is the first candidate to enter the contest. He is a manager of a pipeline construction and maintenance company. Lesser Slave Lake – Pat Rehn is seeking the UCP nomination. Rehn is the owner of AAA Precision Industries and Precision Crane and Rentals. Meanwhile, Darryl Boisson has withdrawn from the UCP nomination contest in this district. Boisson was the Wildrose Party candidate in Lesser Slave Lake in the 2012 and 2015 elections. Red Deer-North – Reg Warkentin has withdrawn from the UCP nomination contest. 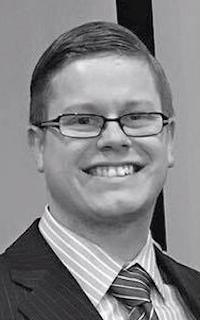 Warkentin is the policy and advocacy manager with the Red Deer and District Chamber of Commerce. 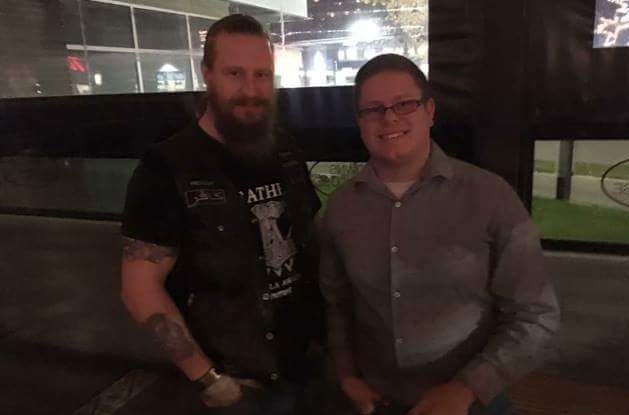 Edmonton-West Henday UCP nomination candidate Lance Coulter told Postmedia he thought he would give the Soldiers of Odin “the benefit of the doubt and have a conversation with them” before he took a photo with a member of the anti-immigration, white nationalist organization at a UCP event on October 5, 2018. Nomination candidates Nicole Williams and Leila Houle, as well as the party leader have denounced the vigilante organization and its members. Despite being vetted by the UCP’s supposedly “rigorous screening process,” Press Progress reported yesterday that Coulter has a history interacting with white nationalist and alt-right content on social media, including support for a Muslim ban in public schools. Press Progress reported that this activity took place while Coulter was employed as an assistant to Edmonton-Griesbach Member of Parliament Kerry Diotte. UCP members in Edmonton-West Henday vote to select their candidate on October 22, 2018. It is not clear whether UCP leader Jason Kenney will allow Coulter’s name to remain on the ballot. UPDATE: Lance Coulter has been disqualifed as a UCP nomination candidate in Edmonton-West Henday. Here is the letter from UCP executive director Janice Harrington informing Coulter of his disqualification. This entry was posted in Alberta Politics and tagged Alberta Election 2019, Alberta Election Candidate Nominations, Alberta NDP, Alberta Party, Andrew Bradley, Barb Miller, Brandy Payne, Brian Pincott, Calgary-Acadia, Calgary-Cross, Calgary-Currie, Calgary-East, Calgary-Mountain View, Calgary-North, Calgary-North West, Dale Johnson, Darcy Mykytyshyn, Darryl Boisson, David Climenhaga, David Swann, Derek Fildebrandt, Drumheller-Stettler, Edmonton-City Centre, Edmonton-Glenora, Edmonton-Griesbach, Edmonton-McClung, Edmonton-Riverview, Edmonton-West Henday, Freedom Conservative Party of Alberta, Gian-Carlo Carra, Glen Tickner, Green Party of Alberta, Jason Kenney, Jason Nixon, Jesse Minas, Joe Anglin, Kara Barker, Kerry Diotte, Lac Ste. Anne-Parkland, Lacombe-Ponoka, Lance Coulter, Laurie Mozeson, Leila Houle, Lesser Slave Lake, Lily Le, Lindsay Luhnau, Lorne Dach, Melanie We, Myles Chykerda, Nate Horner, Nicole Williams, Norman Wiebe, Pat Rehn, Red Deer-North, Red Deer-South, Reg Warkentin, Rick Strankman, Rimbey-Rocky Mountain House-Sundre, Shane Getson, Soldiers of Odin, Stephen Mandel, Strathmore-Brooks, United Conservative Party, Wildrose Party on October 11, 2018 by Dave Cournoyer. Photo: UCP nomination candidate Nicole Williams (second from the left) with members of the Soliders of Odin at a UCP event on October 5, 2018 (source: Facebook). 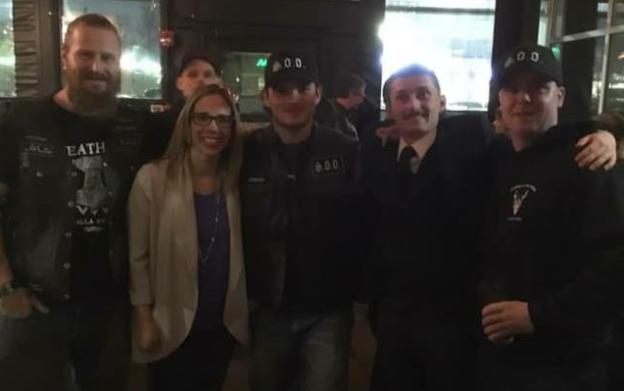 United Conservative Party candidates in the new district of Edmonton-West Henday say they had no idea they were posing for photos with members of the anti-immigration group Soldiers of Odin at a party event on October 5, 2018. 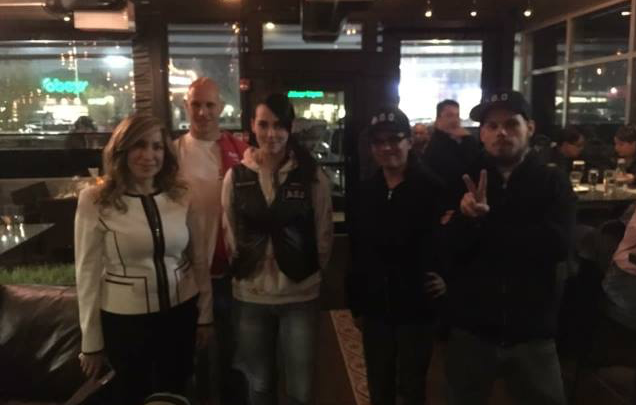 Members of the vigilante group, who have been described as white nationalists, attended the UCP event in their club uniforms and posed for photos with nomination candidates Nicole Williams, Leila House and Lance Coulter. The party and two of the nomination candidates quickly denounced the photos, which were shared on social media first by the Soldiers of Odin and then by Progress Alberta. The candidates claimed they had no idea who the black clad group of vigilantes were, despite recent local news coverage and the fact that they appear to have been wearing their branded uniforms with big logos. “Those running for public office are regularly photographed with members of the public. It is part of the job. We were unfortunately not aware of what the abbreviation ‘S.O.O’ stood for when these individuals entered the public venue in which the Constituency Association was holding an event, nor were we aware of this group’s disgusting views,” wrote Houle and Williams in a joint statement posted on Facebook. Lance Coulter (right) and a Soldier of Odin. 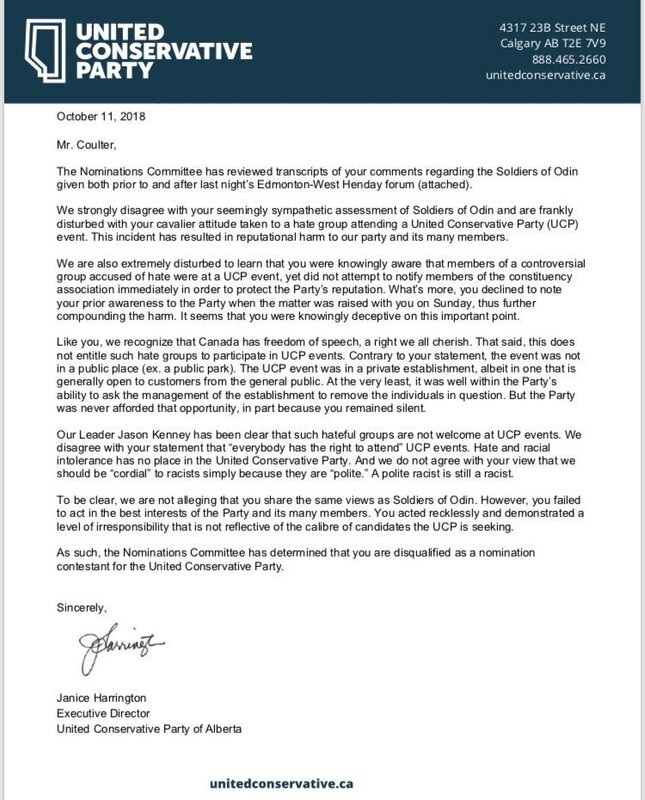 It would be unfair to claim these nomination candidates share sympathies with the Soldiers of Odin, but a string of recent examples of UCP nomination candidates voicing anti-Muslim views online might be one reason why the group felt comfortable attending the event in their full regalia. UCP members in Edmonton-West Henday vote to choose their candidate on October 22, 2018. Lance Coulter, one of three United Conservative Party nomination candidates recently photographed partying with a white supremacist hate group, has a history interacting with white nationalist and alt-right content on social media. Nine members of the UCP board of directors in Calgary-Mountain View have filed a formal complaint with party executive director Janice Harrington requesting an investigation into the eligibility of Caylan Ford to seek the party’s nomination in the district. A copy of the complaint shared with daveberta.ca showed the group of directors are requesting the party to investigate whether Ford meets the Alberta residency requirement to seek the nomination. One of the signatories to the complain and request for investigation is recently withdrawn nomination candidate Dean Brawn, who is the Chief Financial Officer for nomination candidate and former Progressive Conservative MLA Mark Hlady. Ford is an international affairs specialist with a background in China and human rights. She has worked as a senior policy advisor with Global Affairs Canada. Ford was a panelist at a 2018 Manning Centre conference discussion about conservative culture in Canada. Ford, Hlady, Becca Polak and Jeremy Wong are seeking the UCP nomination in this district. A date for the nomination vote has not yet been announced. This entry was posted in Alberta Politics and tagged Alberta Election 2019, AlbertaPolitics.ca, Anti-Immigration, Becca Polak, Calgary-Mountain View, Caylan Ford, David Climenhaga, Dean Brawn, Edmonton-West Henday, Janice Harrington, Jeremy Wong, Lance Coulter, Leila Houle, Manning Centre Conference, Mark Hlady, Nicole Williams, Progress Alberta, Soldiers of Odin, United Conservative Party, White Nationalism on October 9, 2018 by Dave Cournoyer.